Gift memberships are a great gift for Christmas, Birthdays, Valentine's Day or any time of the year! A gift membership covers up to 2 dogs through February 13th, 2020. 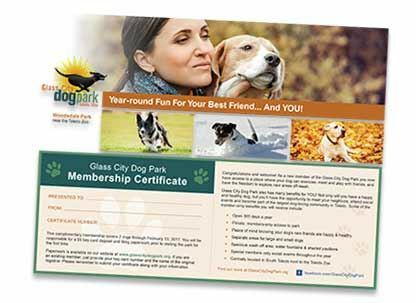 This is a Gift Memberships for someone that is already a member of the Glass City Dog Park. Included is the gift membership covering up to 2 dogs until February 13th, 2020.